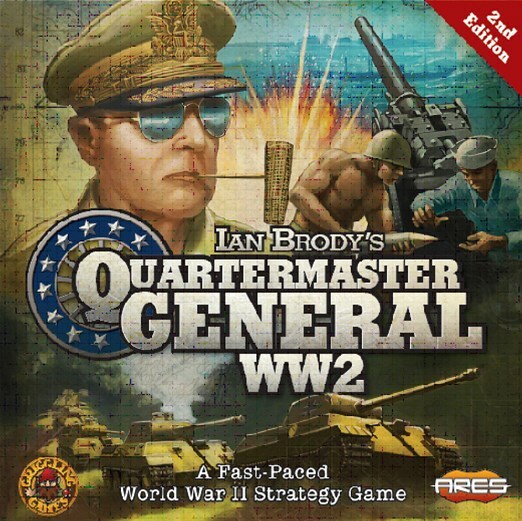 Ares announces an agreement with Griggling Games to publish worldwide the second edition of Quartermaster General WW2, a fast-paced strategy game created by Ian Brody and first released in 2015, with nearly 10,000 copies sold in English, French, and Russian. The new edition is planned to release in the second half of 2019. In Quartermaster General WW2, players take command of the major powers of the Second World War, and supply is crucial to keep their armies and navies fighting. They are challenged to destroy enemies’ supply lines to lead them to surrender. The game is suited for 2 to 6 players, playing one or more countries on either the Axis or Allied team. Each major power has a unique set of strikingly illustrated cards with which to muster their forces, represented by wooden army and navy pieces. The game is simple to learn and quick to setup - but difficult to master, and each game plays differently, ensuring replayability.